Blazing Trails II is a free indie game that is based on the popular 8-bit game TrailBlazer. 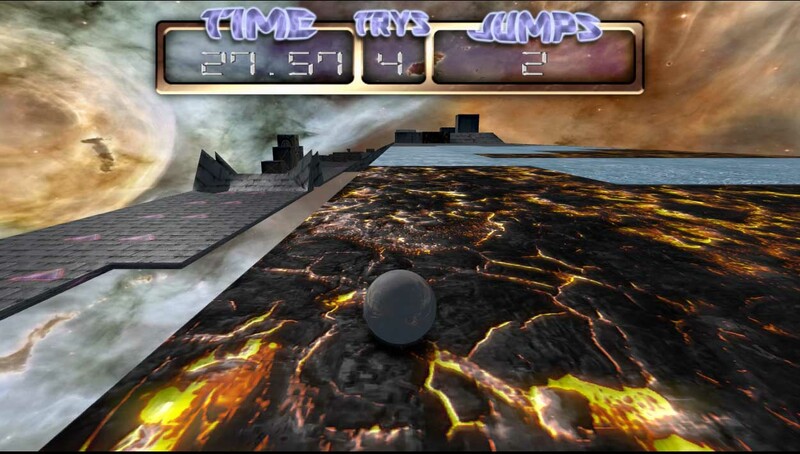 You have to guide a ball at breakneck speeds across several twisting tracks on a short time limited and with a limited number of jumps. Besides the danger of falling into the abyss, you’ll have to deal with unexpected ramps, tiles that slow you down and other obstacles. Blazing Trails II resorts to top technology to offer beautiful graphics and smooth, lightning-fast animation, as well as a realistic physics engine to keep gameplay fluid and addictive. This game also includes a level editor so that you can create your own levels and share them with your friends.